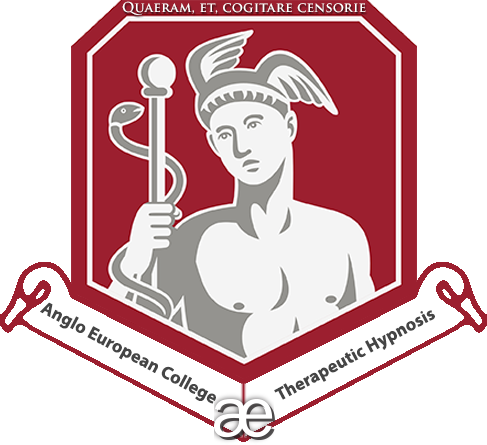 A very warm welcome to the website of the Anglo European College of Therapeutic Hypnosis (Hypnotherapy) which offers hypnosis training courses, seminars and lectures in a range of locations throughout the UK and Europe. This hypnosis training college was founded in Bournemouth by Principal Adam Eason who has been hypnosis since 1999. Today, although Adam remains Principal and Director of Education for the college, this hypnosis training college has an impressive team of lecturers and tutors that facilitate courses, teach and support in the running of the college. In the video above you will hear some of the approach to hypnosis training that is adopted by this college which can be summarised as multimodal, evidence-based and with a strong leaning to cognitive behavioural hypnotherapy. Please have a good look around to learn more about the college, the range of courses we offer and to get a sense of our community, the learning environment offered here and how you can become a student of the college. Download a prospectus of our full suite of courses from just about any page of this website and do get in touch if you have any questions, queries or if we can be of any assistance what so ever. Once you have checked out the College Prospectus and found a course you wish to apply for, we have made it a straight forward process to book your place. There is an interactive form to be found under the menu item labeled ‘Booking Form’. We need this filled in for any course or seminar you are wanting to attend. All of the information required is very straight forward and the form should take less than five minutes to complete. All fields need to be filled in and the form will not submit unless all questions have been answered. Most of the courses can be paid for directly on the relevant course page on the website. The payments forms you see there are also linked to Eventbrite who manage event payments. You will see though on the booking form that there are several other ways of paying and we are more than happy for you to contact us directly by email, Skype or phone to ask questions or make payments. Offers a clear advancement on your initial hypnotherapy training. Encourages academic, critical and reflective thinking on clinical practice, learning and ethics in hypnotherapy. Provides new knowledge, skills, philosophies, approaches and techniques. Encourages a considered, respectful, yet critical approach to hypnotherapy research. Develops the practitioner’s extra-clinical abilities e.g. setting up a peer group, reflecting effectively and getting the best from supervision. Sets engaging and challenging homework that has practical utility in encouraging use of the skills learnt as well as testing a student’s understanding. I think of it as transformational life coaching that is turbo charged. Deep, powerful transformational coaching gets combined and punctuated with hypnosis and hypnotherapy skills to enable the hypnotic coach to work with very different people than hypnotherapists typically do. This programme is for practicing professional hypnotherapists. It is run entirely online so you can enjoy it from the comfort of your own home or office wherever you are in the world. If you cannot make the sessions live it does not matter because you’ll have access to the recording of the event the moment each session ends. Each webinar is accompanied by accompanying written notes, guidelines and instructions to help you derive the most gain from each session. Over the years, I have worked with and mentored many hypnotherapists to help them develop their careers so that they see more clients, earn more money, are perceived as being more credible and have a better quality of life. With this programme, I am extending that further by running an annual Hypnotherapist Business Development Academy. Self-hypnosis is where I started my journey into this field… It helped me to makeseeminglymiraculous changes physiologically and psychologically that I had not dreamt possible at that stage in my life. Since then and as of today, I have authored a great many published articles on the subject, recorded audio programmes that sell globally and written one of the bestselling books on the subject, ‘The Secrets of Self-Hypnosis’. The book represented my work from the early years of my career in the late 1990s and early 2000s. That book has now been superseded by my work “The Science of Self-Hypnosis” The Evidence Based Way to Hypnotise Yourself” which refutes a lot of the content of the previous book. As a result, this seminar now is based solidly on evidence-based principles and sits on a foundation of research studies to support what is taught. Develop fluency in inducing hypnosis. Understand a wide variety of approaches. Be confident enough to create your own rapid inductions on the spot. Understand some key underlying theoretical principles and philosophy with regards to rapid inductions. Be confident enough to create your own inductions on the spot. Make hypnosis incredibly enjoyable for your clients. How to create catalepsy of varying kinds. How to create amnesia in an instant. How to have your client believe and behave as if their hand is stuck – to a pen, their leg, chair and much more besides. How to create a range of visual effects and hallucinations for your client, including invisibility. How to create instant anaesthesia and analgesia in your clients. How to do much, much more than these things… Just wait and see!